"Unearth the naked truth” is harnessing all of nature’s goodness in it’s raw and naked form. Raw Vine Estate wines are sourced only from certified organic vines that have not been tarnished by the harsh effects of artificial herbicides, pesticides or synthetic fertilisers. 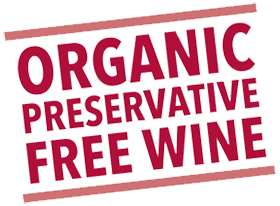 Our wines have no added preservatives or fined with any animal products, just the earth itself.